#3rdfor3rd review: Half Magic. Third grader Ava shares her thoughts on this classic tale of magic and mis-magic. Poetry Friday: Firefly July. Looking for great mentor poems to encourage kids' writing? Look no further than this incredible seasonal collection! New Book Alert: I'm New Here. 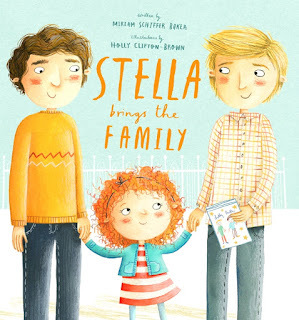 This new picture book features the experiences of three students as they adjust to their new life in the United States. Digital Student Portfolios: Chapter 1. I am participating in a month-long professional development book club discussion of the book Digital Student Portfolios by Matt Renwick. 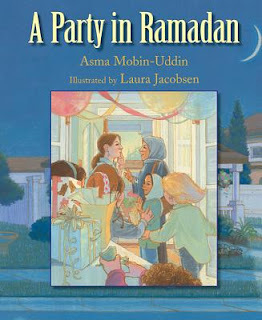 A Party in Ramadan (2009) by Asma Mobin-Uddin and illustrated by Laura Jacobsen. Leena faces a dilemma: she has promised to fast for the first Friday of Ramadan but she has received an invitation to a classmate's birthday party. This story is a great introduction to Ramadan and how to be accepting of others. 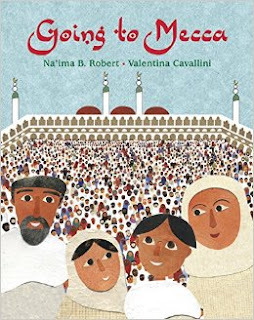 (H/T Alex's great post Some Books about Ramadan for Younger Readers.) 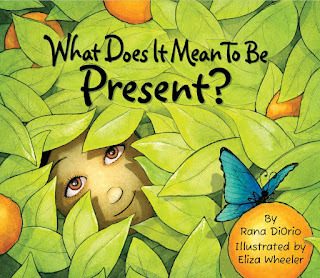 See more titles in my earlier post, 5 Positive Picture Books for Ramadan. 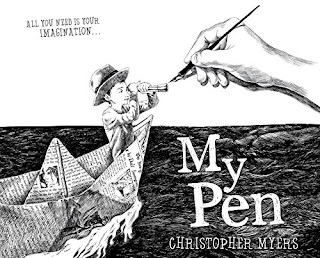 My Pen (2015) by Christopher Myers. This book is an exuberant celebration of the powers of creativity! Myers lays out all the amazing things that he can do with his pen and encourages readers to do the same. This would be a great book to use to launch many kinds of creative units - drawing, sketching, poetry, fiction, and even memoir. Definitely one I plan to use in my classroom and one likely to come up in this year's Caldecott conversations. Phoebe and Her Unicorn: a heavenly nostrils chronicle (2014) by Dana Simpson. This absurd, sarcastic graphic novel will delight and amuse readers, though I found the lack of clear chapter breaks a bit hard to follow. Some of the strips interrupt each other also, adding to the confusion. 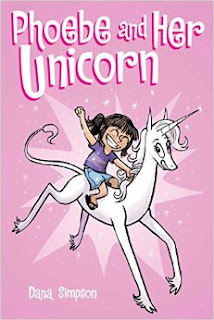 But really, who can resist a comic novel about a self-aware (and self-distracted) unicorn? 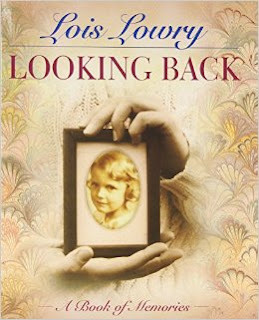 Looking Back: a book of memories (1998) by Lois Lowry. I got on a bit of a memoir kick after reading Ralph Fletcher's How to Write Your Life Story. Lois Lowry is the author of several of my all-time favorite children's books (The Giver, my unquestionable #1, though Number the Stars and others are up there.) I loved how she chose to structure this memoir - each little chapter or vignette is preceded by a photograph. This would make a great mentor text for helping kids (and adults) write memoirs - asking them to bring in a favorite photograph or two and write about the memories it inspires. It is such a tough topic, and one that this book dealt with in really powerful ways. "The Pen" looks like it is right up my alley! I love those types of creative and creative-spurring books! Definitely! I already sent my rec'd along to our art teacher too. My Pen and Paper Things both high on my loved list this year. I agree about potential Caldecott for My Pen. Right? Pen and ink is such a particular style, and this is masterful. Thanks so much for these reviews. 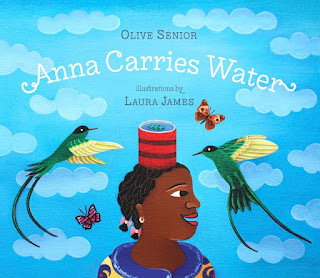 I'm going to try and find a copy of Anna Carries Water to check before I purchase it because of your words. It sounds like the kind of book that will fit into a hydrosphere unit some teachers are doing next fall, but if it is missing the extra context information, that could be problematic. I'm happy to say that I put Paper Things on hold at our library, and am first in line! Cheriee, I would say that this book really has nothing to add to a hyrdosphere unit, unless you are trying to teach about access to water. Even then, like I said, without context and an author's note about water access, it isn't that useful of a book. See you on #CyberPd, Katie. I did love My Pen, an awesome book. I need to read Paper Things. So many have reviewed it as terrific. Thanks for sharing all these! Thanks, Linda! Just got my first #cyberPD post together. I think you'll enjoy Paper Things. 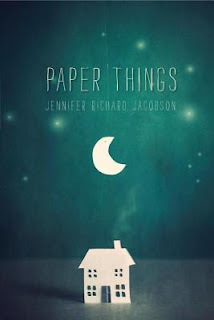 Paper Things sounds amazing. You're right- homelessness is not addressed often enough. Thanks, Lisa. I think Paper Things also does a great job of showing just how "normal" a homeless kid could look at school, to help other kids realize that this isn't just something that happens "somewhere else." Thanks, Myra! I am still on the library list for Ramadan Moon, but I am looking forward to it.